Join the Colorado School of Mines Men’s Soccer College ID Camp. It is a 3-day training camp from July 28 to July 30, . Its design is perfect for top 14 to 18 years old male soccer players. This is an exceptional preparatory training event for players who aspires to play at the collegiate level. The event facilitators feature the Colorado School of Mines men’s soccer coaching staff and its current players. They will provide the participants an exposure to the high-level training and competition collegiate atmosphere. Skills development sessions are for both field players and goalkeepers. Campers will experience playing competitive small sided and 11v11 matches. Furthermore, this program has only 100 available spots. Thus, registration is on a first come first serve basis. The camp will accept residential and commuter registrations. Colorado School of Mines is a public coeducational university in Golden, Colorado. It has an accreditation from the Higher Learning Commission of the North Central Association. In addition, the university is 82nd in the National Universities, edition of Best Colleges rankings. It is 33rd in the Top Public Schools rankings and 44th in the doctorate Engineering Programs rankings. Currently, the university accommodates a total of 5,794 undergraduate and graduate students. The student to faculty ratio is 16:1. Moreover, the Colorado School of Mines has 18 intercollegiate sports teams. These teams are campaigning in the Rocky Mountains Athletic Conference of NCAA Division 2. Their nickname is Orediggers while blue and silver are their identity colors. 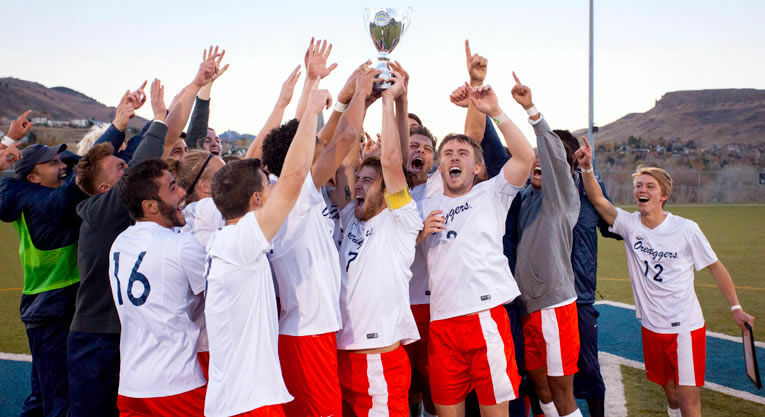 Additionally, the Colorado School of Mines men’s soccer program has already 5 Rocky Mountains Athletic Conference Championships. Frank Kohlenstein is the head coach of the Colorado School of Mines men’s soccer team since the 1997 season. Coach Frank Kohlenstein is a 7-time Rocky Mountains Athletic Conference Coach of the Year awardee. In 2015, Coach Kohlenstein is the Rocky Mountains Athletic Conference Coach of the Year and at the same time the South Central Region Coach of the Year. Then, completing the coaching staff are assistant coaches Greg Mulholland and Hank Lewis. Join the Colorado School of Mines Men's Soccer College ID Camp. It is ideal for passionate and excellent 14 to 18 years old male soccer players.